Long summer vacations in courts were designed by erstwhile British rulers to save British judges in India from severe hot weather of this country and also to facilitate them to visit their homeland in England. This costly facility unfortunately continues in free India even after sixty eight years of independence, that too with long pendency of court-cases. Long-pending recommendation of Law Commission for scrapping long court-vacations, are being ignored. Union Ministry of Law & Justice should immediately scarp any privileged vacations for courts ensuring a common pattern of holidays from Supreme Court to lower courts. Instead of closing work at courts altogether for long court-vacations, judges can be given vacations by rotation like exists system for Professors at medical colleges in Delhi government. Even lawyers desiring long vacations should not have any difficulty because they are still at liberty to seek adjourned-dates according to their convenience. Supreme Court calendar also shows week-long vacations each for Holi, Dussehra, Muharram and Diwali apart from fortnight-long winter-vacations for Christmas Day and New Year. 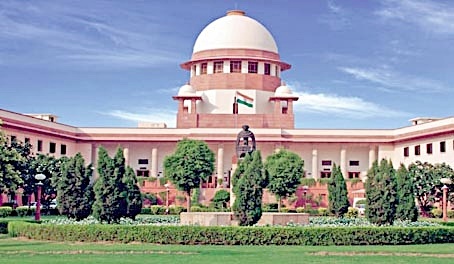 If all other sections of society have no such facility of long festival-breaks and summer-vacations, it is unjustified for Supreme Court and other courts to have such a privilege. Dwarka Court Bar Association election process will start on 7th Nov.